Featuring a keynote address by Alexandra Cousteau, Founder of Blue Legacy and recipient of the 2011 Human Security Award (presented on May 4, 2011). National Geographic Emerging Explorer Alexandra Cousteau is part of one of the world’s most famous environmental dynasties. She is grand-daughter of legend Jacques-Yves Cousteau who first started teaching her to dive at the age of seven. Today, Alexandra takes that rich legacy of environmental advocacy, exploration and storytelling and moves it forward with Blue Legacy, a Washington, D.C.-based nonprofit that she founded in 2008 to leverage new and emerging technologies to connect mainstream audiences with their local watersheds and their water planet. As the visionary behind Blue Legacy’s projects, she advocates the critical importance of managing our water resources sustainably in order to preserve a healthy planet. Her global initiatives seek to inspire and empower individuals to protect not only the ocean and its inhabitants, but also the human communities that rely on the purity of freshwater resources. The Human Security Award recognizes the remarkable efforts of people working to empower and protect the world’s most vulnerable communities. Blue Legacy is an initiative started in 2008 by Alexandra Cousteau to engage individuals around the world through telling the story of our water planet. Blue Legacy works to: to help shape society’s dialogue to include water as one of the defining issues of our century; to inspire people to take action on critical water issues in meaningful ways. People throughout the world are increasingly aware that our environment is changing: natural resources are disappearing, pollution is widespread, the climate is becoming more volatile, diseases spread more rapidly, and ways of life are vanishing. Water is at the heart of these issues and is the primary vehicle through which climate change will be felt. Blue Legacy is a catalyst for action and change-promoting ideas for innovative solutions that individuals and communities around the globe can implement to address the issues facing our water planet. We believe that for too long, activists have asked people to protect environmental treasures that most individuals have never experienced. Our projects leverage film, educational tools and traditional media along with emerging technologies and social networks to help “mainstream” audiences around the world experience the people, places and systems affected by critical water issues. We believe that every citizen of the world can be an environmentalist and are committed to shaping daily conversation to include critical water issues. 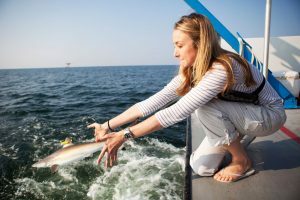 Alexandra Cousteau and her international Expedition Blue Planet team are on a 14,500-mile journey across North America to investigate global water issues “in the backyard” of one of the world’s leading economies. Living, working and exploring water stories together, Alexandra and her team will use everything from the underwater gear invented by her grandfather to the latest in satellite technology and live social media to bring the thrill of adventure and the wonders of nature to audiences across the globe. Through the lens of this expedition, global audiences will have the rare opportunity to join the expedition from an entirely new angle: sitting down with the crew as they discuss the work of the day over meals they’ve prepared as a traveling “family,” experiencing the camaraderie and adventure of solving problems in the field, and experiencing firsthand the thrill of discovering grand places and meeting everyday people in cities and villages along the way. Throughout the journey, the team will explore some of the great water treasures of the region, investigate issues surrounding water conservation, as well as bear witness to stories of people from all walks of life working to solve one of the great challenges of our generation – the global water crisis.